The Donkey Show is an experience like none other. Tony Award-winner Diane Paulus’ riveting 70’s-inspired adaptation of A Midsummer Night’s Dream has been a hit since it first opened off-Broadway in 1999. After a tour around the world, The Donkey Show settled into it’s home at A.R.T’s OBERON in 2009. 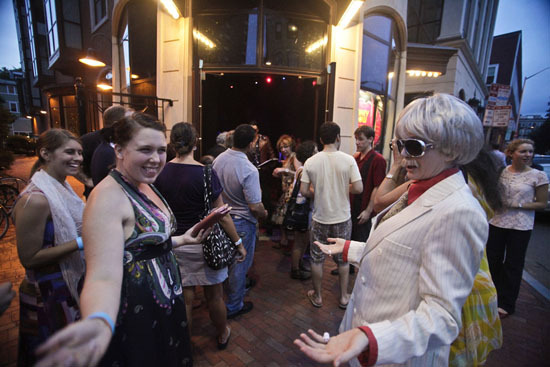 Whether you’ve never experienced the magic of Saturday nights at OBERON, or you live out your disco queen dreams on the reg, here’s our ultimate guide to one of the best nights out in Boston. Want to experience The Donkey Show for yourself? Your $15 ticket comes with a free Lyft ride home! 1. Grab dinner and drinks. Around the corner from OBERON, you’ll discover a darling restaurant and pub called Daedalus that features a menu filled with delicious Irish and American pub food. With it’s great selection of beer, wine, and cocktails, Daedalus is a great choice to begin—and prepare for—what is sure to be a thrilling evening at The Donkey Show. 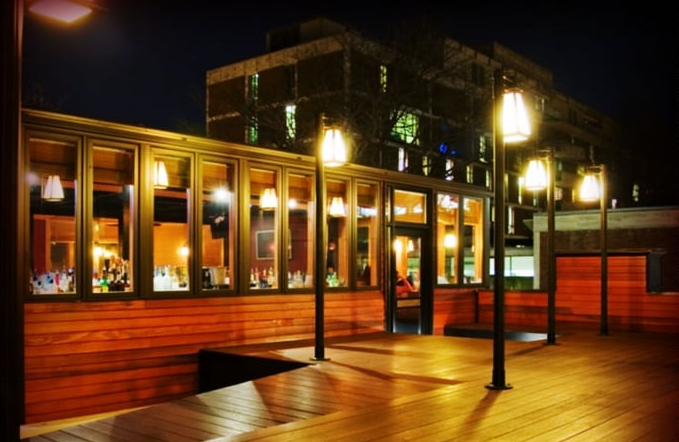 As an added bonus, you can enjoy warm summer nights on their their picturesque rooftop deck! Break out that brightly colored ensemble and platform shoes, and don’t forget to tease your hair! 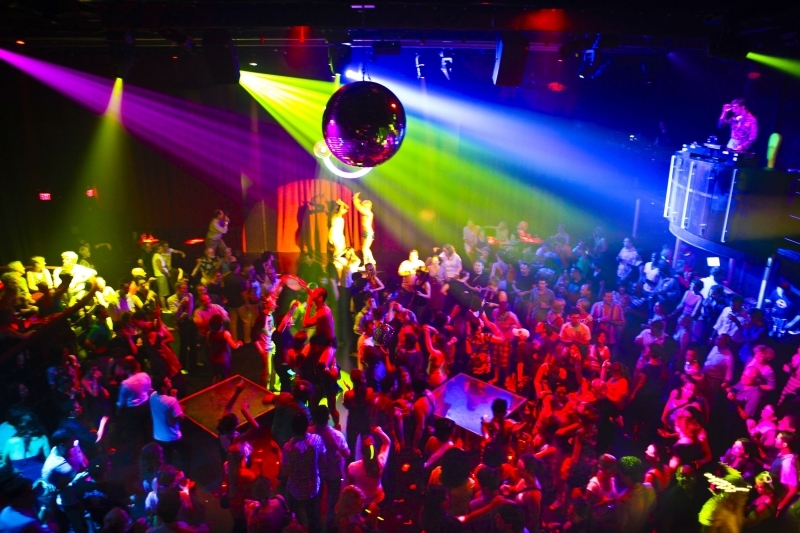 The Donkey Show encourages guests to dress up “disco style” to keep with the show’s theme. If you need a few accessories to complete the look (or you’re in the market for a full disco outfit), check out Dorothy’s Costume Boutique in the Back Bay for some great options. 3. Wear your dancing shoes. 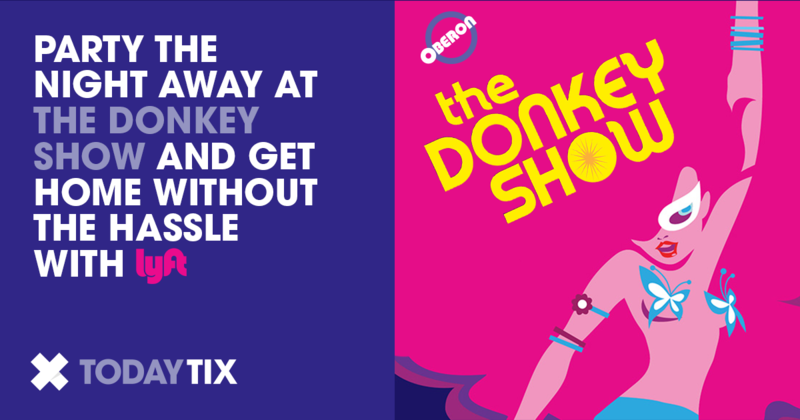 At The Donkey Show, you’ll be on your feet dancing all night long! And when the show is over, the party continues well into the evening. Bring your most fabulous (and most comfortable) pair of shoes for the occasion. Even if you don’t consider yourself a dancer, you won’t be able to help yourself from getting “Saturday Night Fever” when the disco ball starts spinning and the hits start playing. As you explore this one-of-a-kind party at OBERON, you’ll have the opportunity to meet and interact with all of the people around you. Yes, The Donkey Show is, well, a show, but it’s also an amazing social experience where you can meet a variety of different people from around the world! Strike up a conversation and create lasting memories with newfound friends. 5. Engage with the performers. The gorgeous and enchanting cast members of The Donkey Show engage with the crowd in a variety of creative ways! This mesmerizing experience is made even more memorable by the fully-committed cast and their captivating connection to their guests. Don’t be shy! It’s all in the name of fun. 6. Get home without the hassle with Lyft. Experience an epic night of dance, glitter, and disco without the burden of having to drive home afterwards! We’re excited to announce our latest partnership with Lyft for free rides home after 10:30 PM performances of The Donkey Show! Join us for an unforgettable night and let us get you home without the hassle. Share your favorite memories from The Donkey Show with us on Facebook and Twitter!